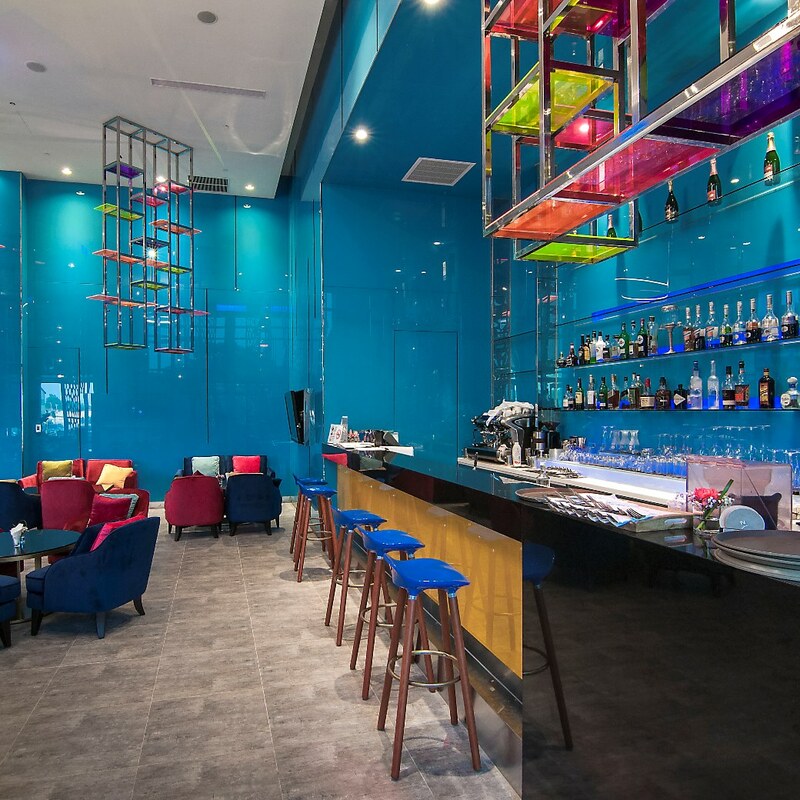 The open plan Q Bar, located in the lobby close to the hotel reception area, is stylishly designed with seating capacity for 48 guests that includes 6 at the bar counter. 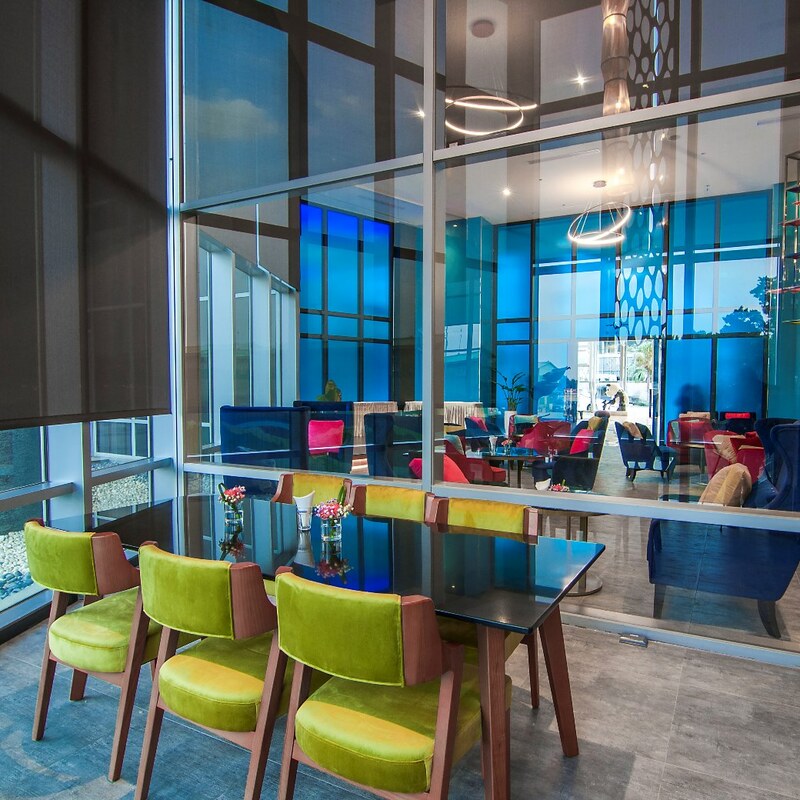 Here in an alluring and relaxing environment, furnishings are arranged for intimate and private conversations, as well as just sitting back and taking in the great views overlooking green parklands. 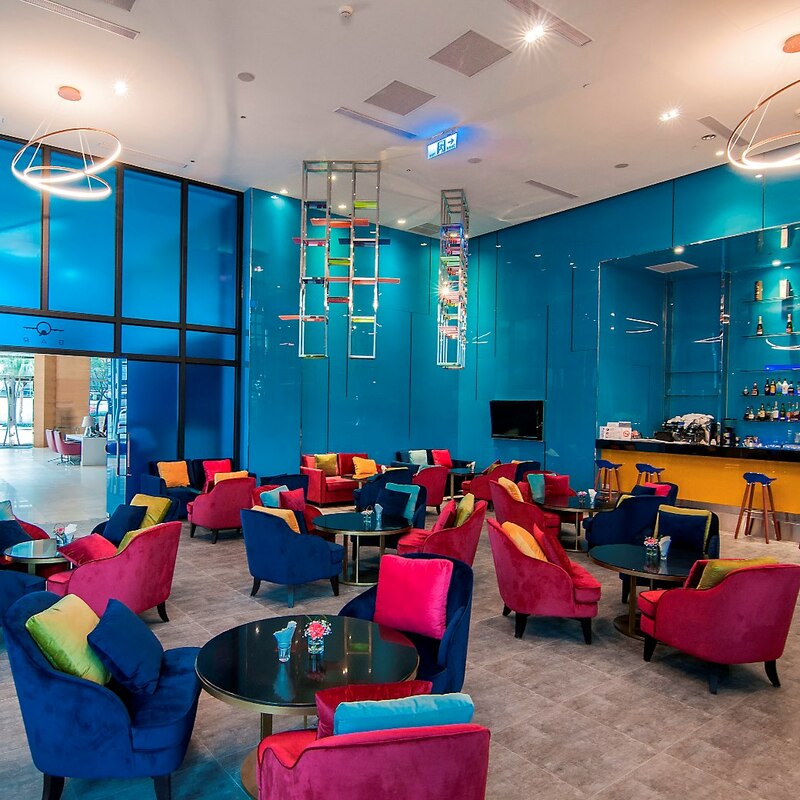 Feel free to give yourself a relaxing moment lingering over classic cocktails and light meals at Q Bar as your kids indulge themselves in the colorful Kids Corner that locates nearby.